With Manchester United currently in top form at the moment, winning four consecutive matches and finally gelling as a unit, a little inner team banter is always a fun thing to follow. 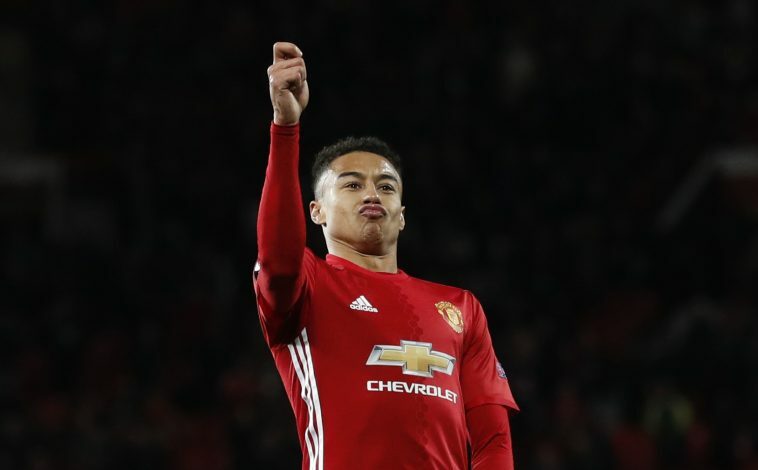 After United’s recent win against Sunderland at Old Trafford, Lingard did not shy away from having a go at teammate Herrera on Twitter, with a little joke aimed at the little Spaniard. The England winger posted a team photo of the players celebrating a goal together, while Herrera was caught posing with his hands wide open at the perimeter, appearing to look unable to be a part of it. Jesse Lingard captioned the photo saying, ‘@anderherrera mad because he didn’t get invited,’ which was enough to hilariously troll his fellow midfielder. Both Lingard and Herrera have been loving life under Mourinho, and despite the jokes and banter, it is clear that United are showing their togetherness as a team and are ready to fight it out, to win and continue getting closer to the top – where they belong. The Red Devils put in a dominant display against former manager David Moyes’s team to come out easy 3-1 winners, with goals from Daley Blind, Zlatan Ibrahimovic and a sensational acrobatic goal from Henrikh Mkhitaryan. Fabio Borini provided a consolation goal for the visitors, which was also a contender for the goal of the night.